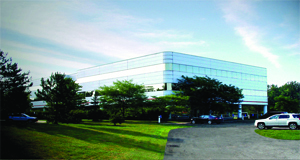 Beginning with a 25,000 SF office requirement, the landlord’s brokerage team led Saint Gobain Performance Plastics to realize the strategic opportunity to expand their initial objectives, redefining their headquarters needs and positioning Saint Gobain to achieve enormous efficiencies both in the utilization of an entire 50,461 SF building and the expansion of coordinated support functions in one location. After a long lease with 24 hour call center use, 31500 Solon was showing substantial wear and tear revealing a building that needed a full renovation requiring a long enough lease term to amortize investor dollars by ownership. A marketing plan was put in place with exciting exterior renovations and heavy emphasis on the desirable site, extraordinary parking, and full backup power. Over the course of 12 months, the building was presented to 47 potential users, 12 of which could occupy substantially all of the available space. Finally, just before the owner’s financing expired, the right tenant was identified. SGPP was presented a vision of beautiful, efficient, modern design and sustainability. It took several months to get SGPP to visit 31500 Solon Road, but once they saw the vision, the pace quickly accelerated. Suggested and then parceled the initial 13.54 acre site into three sites: one (1) 6 acre parcel for SGPP’s building, one (1) 6 acre high visibility development site close to Solon Road, and one (1) small site suitable for a 20,000 SF flex building in the rear adding nearly $1,300,000 value to the owner at practically no cost. Avoided multi-tenanting of the building by producing a rough “BOMA” calculation that showed clearly the efficiency of SGPP taking full floors at a savings to the owner of $6,900,000. Negotiated a ten year lease at mutually beneficial terms with a world class tenant. Changed the total value from $3,000,000 to an estimated $11,000,000.